Butter chicken is a hot favourite with most desi non-vegetarians. 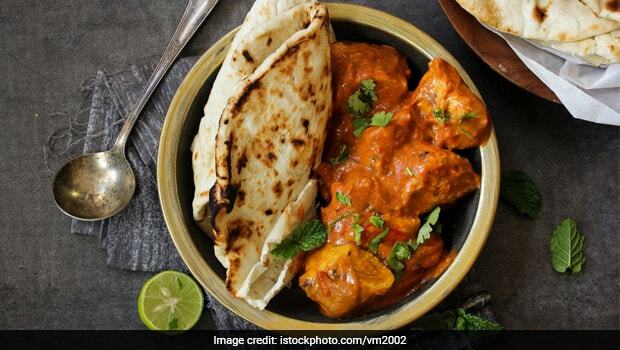 The quintessential chicken curry has become popular around the world now, with Indian food lovers opting for butter chicken in restaurants around the world. The curry is also known as Murgh Makhaniand is an all-mood food that contains delicious tender chicken pieces marinated in a spice mix and then cooked in a flavourful and creamy tomato curry. 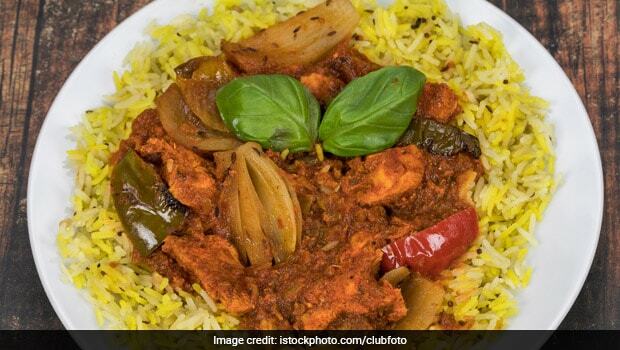 Did you know that the dish was invented in Delhi in the 1950s? Yes indeed and it was by three Indians at the restaurant Moti Mahal in the capital city of India. Butter chicken was in fact invented by the restaurateur’s need to utilise leftover chicken, which they did by cooking it in a tomato gravy with butter and cream. Butter chicken may look like it belongs in a festive feast, but the curry is pretty accommodative. You can have it with rice or Indian flat breads like naan, kulcha, chapati, roti, etc. If you don’t have anything, just place it atop a piece of store-bought bread and enjoy! Butter chicken tastes joyously delicious in all and every form. This is why it’s always a great and safe option to order in, or prepare in bulk at home. It’s a definite call for celebration when there’s butter chicken for dinner at home, because you know what that means- there’s definitely going to be some leftover for the next few days as well! What’s better than butter chicken for dinner? Butter chicken biryani for dinner, of course! One of the yummiest ways to utilise that leftover butter chicken is to add it to freshly prepared aromatic rice and make biryaniout of it. All you need is some fresh long-grainbasmati rice, some cloves and saffron, crispy fried onion and you can cook up a storm by adding the leftover butter chicken to it. Check out our recipe of the Murgh Biryani here. If you’re a fan of tacos then you’ll also love this desi version of the popular Mexican dish. You can buy ready-made tacos from a store and stuff your leftover butter chicken curry in them, along with some fresh lettuce leaves, mint chutney, freshly chopped tomatoes and onions! Your butter chicken tacos are ready. They’re incredibly easy-to-assemble and tastes delicious. Boneless butter chicken can be easily stuffed inside breads and you can use the leftover curry in a number of rolls like frankies or shawarma. Buy some pita bread and toast it on a grill or a griddle. Add some freshly chopped vegetables or pickled vegetables in it and then add the butter chicken to it. You can drizzle in some mint chutney to give it a refreshing, zingy flavour. 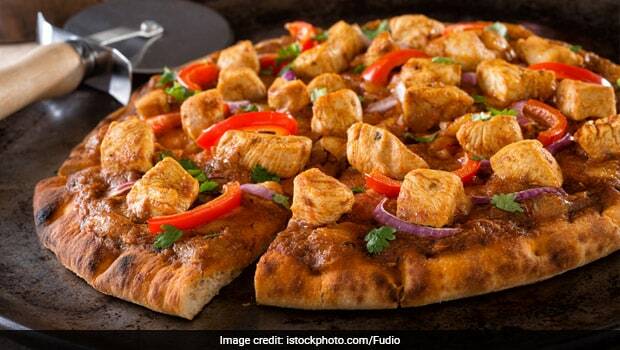 Homemade pizzas can be taken to the next level by adding some delicious butter chicken pieces to it. All you have to do is layer your pizza base with the marinara and mozzarella as usual, then add the leftover butter chicken pieces and cover it with another layer of grated cheese. Stick the pizza in the oven and enjoy your piping hot butter chicken pizza! Grilled cheese sandwich is perfect as is, but there’s nothing that cannot be made better by butter chicken. Shred your butter chicken chunks into small pieces and add them to your grilled cheese sandwich along with the gravy. The mélange of cheese, chicken anddesi gravy in between pieces of perfectly grilled, crispy bread, are sure to delight you. How do you like to enjoy your leftover butter chicken? If you have more creative ways to give butter chicken a fresh makeover, let us know in the comments section below!